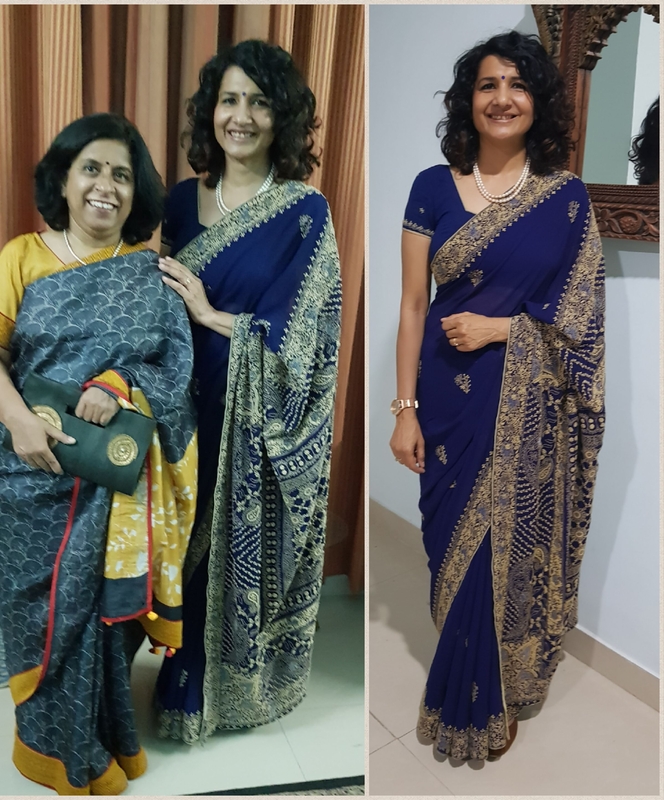 100sareepact | When theme was Lakhnavi…..
And my friend Dr. Punita decided to wear a printed Tussar silk, just she had a new blouse to go with it!! I’m wearing this navy georgette saree with chikankari (murri and jaali stitch). I bought this saree long back, one of my first indulgances after I got my first job as a faculty.